Cover over 25 miles round trip! Can accommodate up to 16 people on private tours! This tour departs from the historic fishing village of Goodland, Florida on the south end of Marco Island. This 3 hour excursion will take you through the mangrove forests and barrier islands that make up the 10,000 Islands National Wildlife Refuge on our custom skiff. 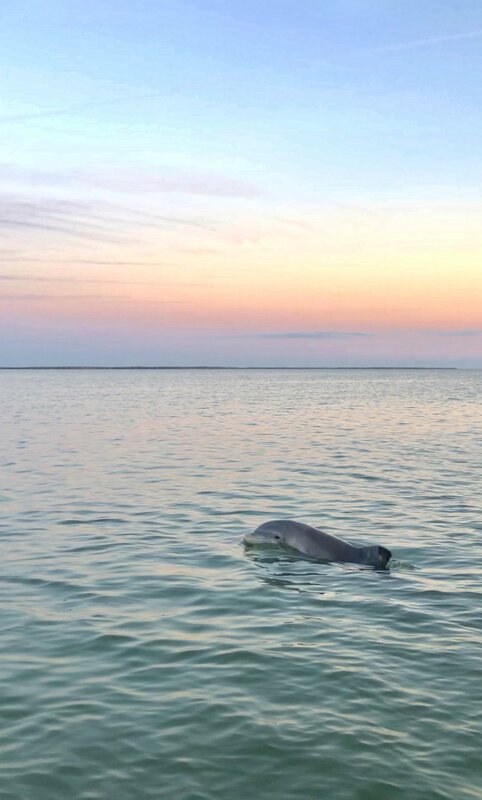 In addition to exploring this coastal ecosystem in search of aquatic wildlife, you will also visit a quiet barrier island only accessible by boat. Once on the beach you will have plenty of time to search for rare shells and swim. 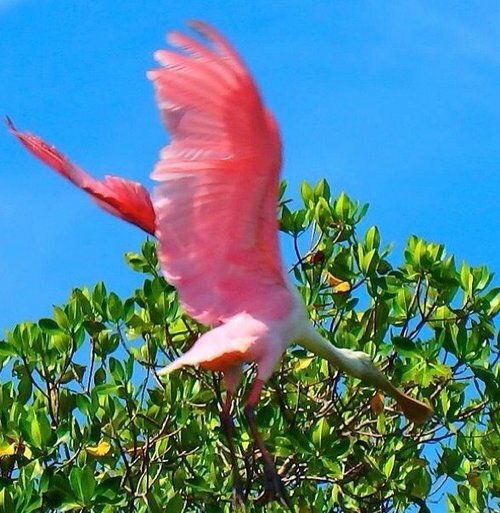 Throughout the trip, you can expect to see Atlantic Bottle-nose Dolphin, the occasional Florida Manatee, and several diverse species of birds, such as pelicans, egrets, herons, kingfishers, eagles, osprey, and roseate spoonbill. Whether you're a visitor to south Florida or a long time resident, this trip is sure to please. The Sunset Tour will take you through the coastal islands of the 10,000 Island National Wildlife Refuge. Sunset is an excellent time for wildlife viewing. You will then have the option to enjoy the sunset from the boat or take a nice walk along a barrier island beach. We have ice and water on all of our trips and guests are welcome to bring their own food or beverages of choice. A comfortable ride through the 10,000 Islands. Sunset beach walk option on a barrier island. 740 Palm Point Dr. Goodland, FL 34140. On site parking is free but sometimes limited during the weekends and peak season. We kindly ask that you car pool or if you have a large party with multiple vehicles that you please try to double park in the large parking spaces. We also encourage ride share options such as Lyft and Uber! Eco Endeavors offers several unique Specialty Tours allowing both travelers and locals the opportunity to experience the beauty of the natural areas that surround us. These tours are offered as Exclusive Events and will not be offered on a regular basis due to weather, professional crew availability and seasonal restrictions. We offer private skippered boat rentals if you have your own destination and excursion length in mind. These trips are led by our expert captains, which allows you to sit back, relax, and enjoy the cruise! Tour routes vary depending on tides, weather, and sea conditions. Shelling is best during low-tide, which changes daily. Check our Plan Your Trip page to view short-term weather forecasts and local tide charts. Please feel free to contact us if you are unsure about the best time to schedule your excursion. Sea conditions vary and can change rapidly. There is always a chance you may experience rough water or get wet. Our Master Captains work hard to ensure you have the best experience possible. Afternoon thunderstorms are common in the spring and summer. We recommend booking early in your trip to avoid possible weather cancellations. Online booking is available up to 16 hours in advance. To make same-day reservations, please call or text our reservation line at (239) 877-5902. Thank you! Give more when you purchase our Eco Endeavors Gift Cards! Check out what makes Eco Endeavors unique!